Night game and big Sunday - Membership opportunity! 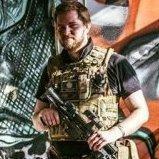 Hi guys, just thought I'd throw out there that my regular site, Skirmish Airsoft in Mansfield, near Nottingham, are hosting a night game on the 15th December, which is this coming Saturday night, followed by a full skirmish day on Sunday as well. Walk on for the night game is £25 and there's free camping and a BBQ, gates open at 16:30 with games scheduled to start at 18:00 so get there early enough to get your tent set up and sort your gear out. Play continues up to around 1am and there's a break for a BBQ in the middle. All ending with a chill out session at the end, beer welcome, it's always a great night. Then, the following day is free for everyone who's a site member. But, what this means is that all you people who don't have site membership, have a great opportunity to come along and instead of paying £25 for walk on, you pay £30 and become a member. You don't have to pay £55 to pay for the day & membership, 'cos once you're a member the day is free! Then you'll get £5 discounted every time you come back and, additionally, you'll get free access to similar free members days, which there are at least 2 of every year. So it more than pays for itself. The site and staff are absolutely faultless as well and the on-site facilities are the best I've known in all the time I've been airsofting, I urge you all to come and try it out. Seriously, I've been coming fortnightly for almost 3 years now, it's the best site I've found since I started airsofting. If you want to catch a glimpse of what the site is like, then you can see my videos on YouTube, check the link in my signature, or you can look through their photo albums on the Facebook page. One of the best things about the site is that they have a photographer on site every game day, to capture the action, so you've got snap shots to show people at the end of every day. Couldn't fault the site if I tried. Facebook is probably your best bet if you have questions. Or you could just ask me on this thread. PM might be best since I'll probably forget I even made it lol. I hope I see a few of you there though, it'd be nice to put some faces to names/forum pseudonyms. P.S. You can just come to the Sunday's games, you don't have to attend the night game, gates open at 08:30 on the Sunday morning and the regular walk on price is £25 as with the night game, however, bear the membership opportunity in mind, it's only an extra fiver! Additionally, you don't have to camp, you could just as easily go to an Inn or something in Mansfield. You do only have until this weekend though, so best hurry if you want to come.